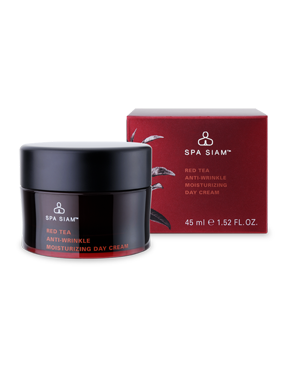 As one of the newest and increasingly important ingredients in the Spa Siam product collection, Red Tea has been generating a lot of popularity and deserved recognition, especially in the United States. 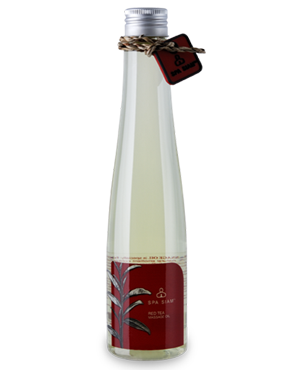 More of a herbal brew, it is made from the fermented leaves of a native South African plant, the reddish colour rendered to the tea is due to processing of its leaves, after being chopped and dried in sun to oxidize and improve flavour. Red Tea (or Rooibos tea) is 100 percent pure and natural, and contains no colorants or preservatives. Studies reveal that the tea is comparable to green tea, as it contains equal amounts of the high antioxidant polyphenolic, and shows anti-carcinogenic, anti-inflammatory, anti-mutagenic and anti-viral activity. 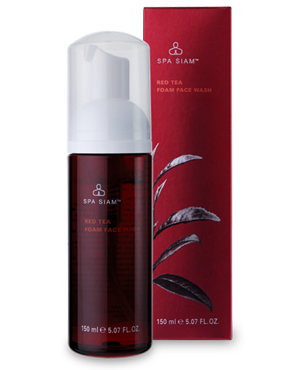 For centuries, red tea has been used in African traditional medicine to treat conditions such as acne, eczema, sunburn, allergic reactions, irritation and itching as both a facial toner, body treatment and a moisturizer. 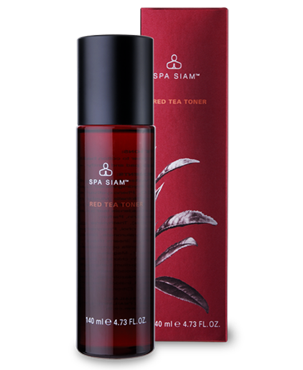 Red tea is widely used in skincare products as research suggests its flavonoids (antioxidants) can provide protection from the UV light that causes fine lines and wrinkles. 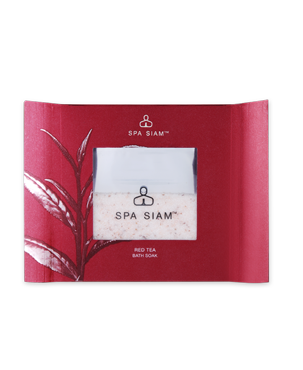 Additionally, scientists from Japan, who did studies in the 1960s, discovered that these powerful antioxidants are thought to retard aging and have potent anti-inflammatory properties helping reduce acne blemishes. These antioxidants work to fight free radicals, the unstable molecules that damage cells by stealing their electrons. No unwanted reactions (e.g. irritations or allergies) were experienced. In addition, the herb is also found to contain the flavanoid, aspalathin, which counteracts the atherosclerotic processes that result in heart disease. Other studies link red tea to helping lessen digestive problems, nausea, stomach cramps and constipation. Furthermore, red tea can have a calming effect and has been shown to help with irritability, insomnia and depression whilst helping to fight arthritis, allergies, respiratory disorders and cancer.